I recently came across Reverence de Bastien, an incredible skincare brand that carries anything from face crèmes to nail treatments and nail polishes. Created by Bastien Gonzalez in accordance with French cosmologists the brand has my new go-to products. While in Europe, I got the “Rolls-Royce of Pedicures”. Unlike most spas and nail salons, they use an array of products such as the sensitive feet balm and a special silky powder to soothe the legs. Their outposts in Paris and Monaco are my favorite and I make sure to stop by when I’m there. I visit the website regularly and try out all their products. 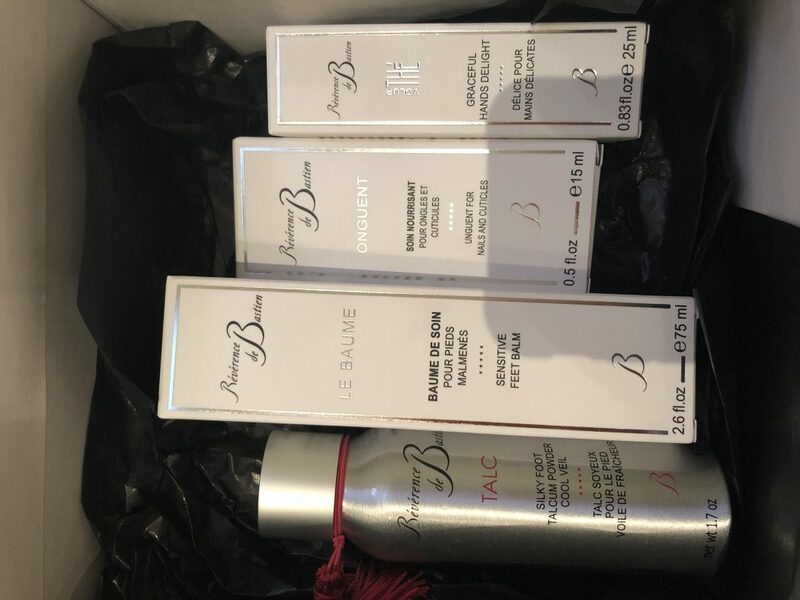 I love trying new skincare products but Reverence de Bastien has truly stood out because it soothes and rejuvenates my skin more than any other brand I have recently tried. It also doesn’t hurt that their white and silver sleek packaging stands beautifully near my mirror in my bathroom. When I put on crèmes I like to look at the bottle itself, and although it doesn’t impact the product the design that Bastien Gonzalez has created, the design perfectly reflects the exquisite quality of the crèmes and ointments. In addition to their skincare products, Reverence de Bastien carries incredible accessories, especially pertaining to nails. Their natural nail buffer and glass nail file are two that I make sure to have in my bathroom cabinet. I keep the glass nail file in my bag and it has saved me multiple times. A few seconds of filing keeps my manicure in great shape and is important to have in case of an emergency. Reverence de Bastien is a skincare brand that has strengthened my skin and I will be sure to use it habitually in the winter to keep my skin soft and protected from the winter chills. How to dress to look slimmer? Personal Shopper Service for You! 7 essential tips to keep the skin of your hands young!